Gulp. My son is going to be a kindergartener. 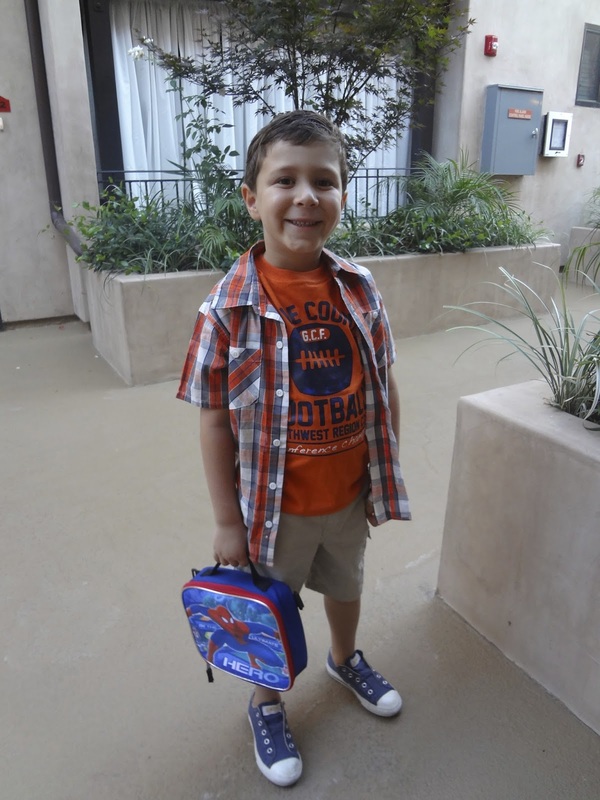 A full-fledged kindergartener! This year, shopping for back to school apparel and items is more poignant and important than ever. Though my son spent last year in Transitional Kindergarten (thank goodness for “red shirting”), this year really counts as “The Year.” It’s go time, for reals, and there’s no turning back. (Sigh). But, lucky for me, I’ve teamed up with Collective Bias and SearsStyleto find the most affordable fashion for my son and even another child in need. Trough out the children’s department, there were several “Tee Stop” displays. Almost every super hero imaginable was represented in the beautifully organized piles and mounds of screened tees. For $7.98, they’re really high quality and with graphics I know my son would love (and again, feel totally cool about . These things are talking points with his little buddies after all!) 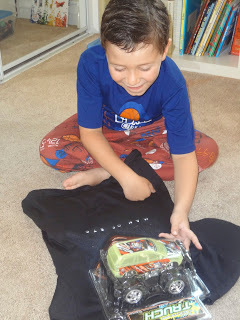 I picked out a cute Batman tee for him and an Iron Man tee to donate. The piece de resistance(s) were the tees for $9.98 that came with a toy. 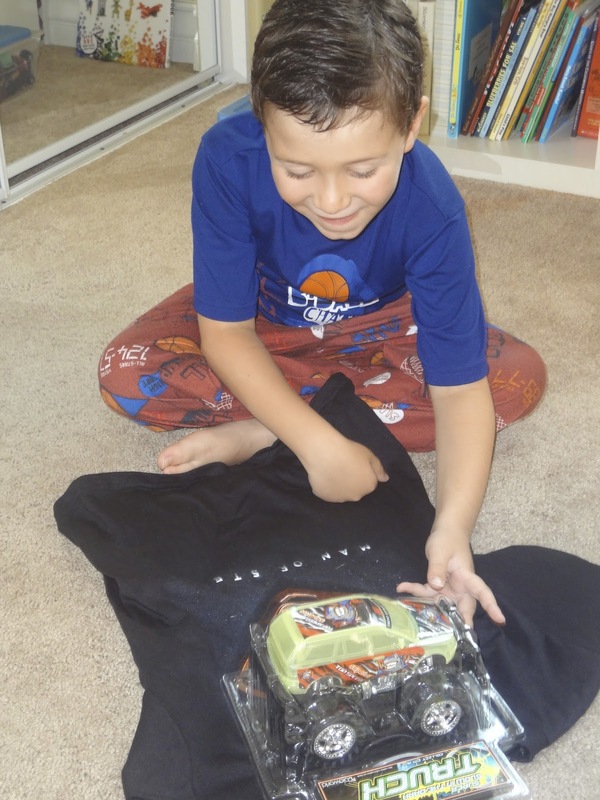 At 5, he’s not going to see “Man of Steel,” but he can certainly wear a Man of Steel tee! Great deal and he was super excited. 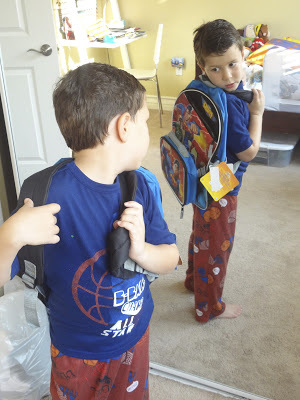 In addition to the jeans and tees, I found a few great items like khaki cargo pants with an elastic waist – perfect for hot, back to school months, (annnnnd for the child that never wants to go to the bathroom at school because he’s in a rush to go play with his friends), a striped tee (for “fancy” days”) and an adorable short-sleeve, plaid button down, that came with a coordinating tee shirt. It’s a 2 for the price of one look and it screams first day of school! 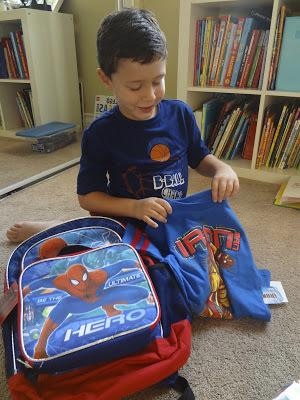 I loved seeing his enthusiasm over the super hero/character backpacks that comes with a lunch box. He instantly threw it over his shoulders to see what he’d look like rocking it on our walk to school. It’s big enough for carrying his favorite basketball and bright enough to locate in the cubby round up! Here’s to making back to school a success! 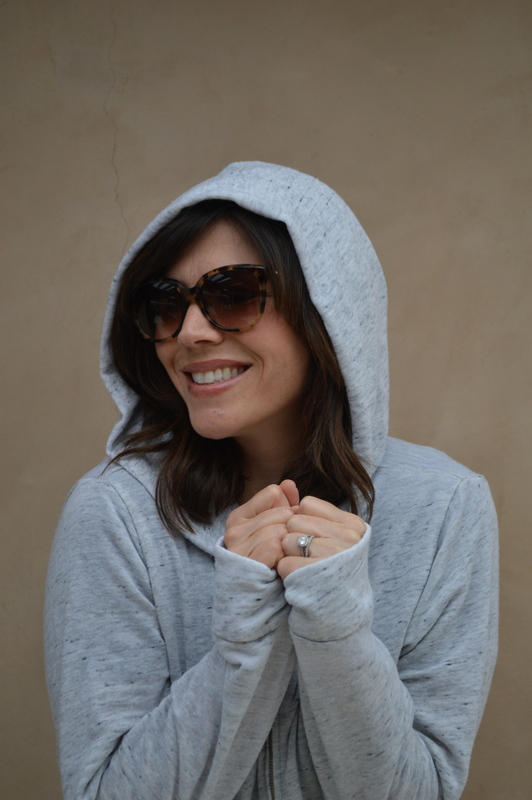 To get your affordable and style back to school gear, follow searsStyle on Twitter and Facebook, and be sure to check out all the photos from my shopping experience on my Google Plus album! FALL FASHION SHOPPING AT SEARS! SHOPPING SEARS STYLE THROWBACK THURSDAY: FOUND VIDEO Monrow Clothing: Exclusive Sale & My Favorite Must Haves! This is really an awesome work and i had also been searching for these types of updates as well.